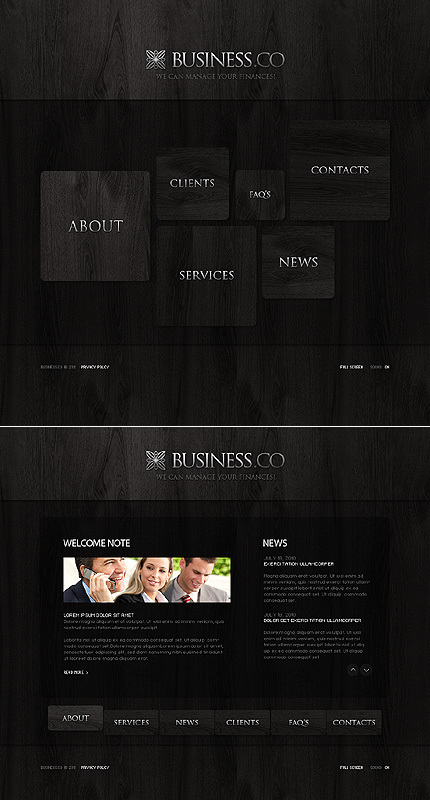 CSS: Template 32401 is designed using the Cascading Style Sheets mechanism for adding style (e.g. fonts, colors, spacing) to the website layout. This means that it uses blocks instead of tables. So you can move content blocks by simply dragging 'n' dropping them in your HTML editor. The design of this template is based on the w3c.org technologies and standards that makes your website more user-friendly. 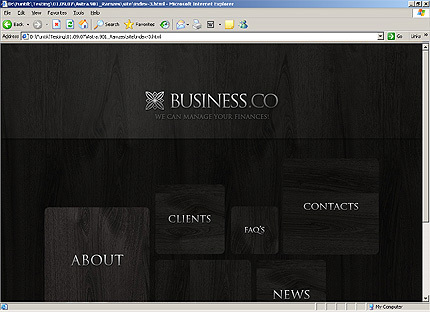 Dynamic Swish: Template 32401 is developed using the SWiSH technology. Dynamic SWiSH gives you the ability to edit content (texts) with any text editor without manipulating or having to alter the design. Bonus with every purchase With each template purchase you get Free Web Design Elements: photos, fonts, icons, 3d models, sounds. Buy template 32401 from zeronese today and get access to the Free Clipart & Free Web Design Elements library.